Steve Jobs's Horoscope - Stay Hungry, Stay Foolish. So, today a Celebrity Horoscope. 1. As we can see, he was born a Leo Ascendant. Leo is ruled by Sun. So much about a person gets revealed from the Ascendant Sign itself. Leo is the sign of Creativity, Authority and King-Hood. Leo's basic representation is a Lion. Now, who is Lion? King of Jungle. Right? So, Leos have this basic nature that they want people to treat them as King or Queen. They demand respect. Also, as Lion doesn't need to introduce itself to anyone, Leos feel that as they are Kings/Queens, everyone should respect them. In some cases it goes on to the level of being Arrogant. 2. Now, there is one most simple way of looking at the area where person will be interested through-out life and his life force will go. That is to look at the house that shares the number of zodiac sign in Ascendant. Like, if you are Cancer Ascendant (4th zodiac sign) then look at 4th house of your horoscope. If you are a Scorpio Ascendant (8th zodiac sign) then look at 8th house of your horoscope. So as he is Leo Ascendant (5th zodiac sign), his entire life force will go towards 5th house of Creativity, Risk taking ability (necessary for Business) etc. Now, he has Rahu in 5th house with Venus. Now, this is making him extra creative and reason behind all his success in business. We will see it as we take planets. 3. An event of his life which few may not be aware of that he was raised by Foster Parents. Normally, when such events happen in life Sun and Moon are inflicted by Rahu but in his chart I could not see any issue with Sun and Moon affliction with Rahu. Then I see Rahu with Venus and Rahu's aspect on Mars. Venus rules his 10th house of Father and Mars rules 4th house of Mother. Here, they both got inflicted by Rahu. Also, he was born in Rahu AD. Further clarification of Rahu impacting his 5th house was that 5th house belongs to the 1st child. Rahu represents illusion. Under Ketu MD-Rahu AD, his ex-girlfriend delivered a baby girl whom he denied as his child. So, there was illusion around his parents and 1st child. a. Sun - Sun rules his Ascendant (Leo) and sits in 7th house in the sign of Aquarius in Satabhisha Nakshatra. 7th house is house of Business and Relations, so it gave him the life path of going into the Business Field. Aquarius is sign of Scientific and Technical Research and so is Satabhisha Nakshatra. So, his life path went into Business of Scientific and Technical Research related things. It also shows distant relations with Father as Sun is in enemy sign. Wherever Sun sits, it burns the results of the house. In 7th house, it limits the results of marriage if there is no other positive aspect. He was married at the age of 36, which is quite a delayed marriage. Now, why Sun didn't burn-out the possibilities of him being a successful businessman as 7th house also relates to business? It again goes back to the concept of Jeeva Karaka and Ajeeva Karaka. It means any malefic/mild malefic planet in any house negatively impacts the living significators than non-living significators. b. Moon - Moon rules 12th house of imagination and working behind the scenes through its sign of Cancer and sits in 8th house of research, occult, mysticism and serving other people needs in the sign of Pisces. So, he used his imagination and ability to research & work behind the scenes to serve the needs of other people. He kept his share of interest in Occult & Mysticism and many people are aware that he paid a visit to India in 1970s to seek Enlightenment. c. Mars - Mars rules 4th house of home, mother & homeland etc through its sign Scorpio and 9th house of Far Distant Places, People of Different Ethnicity through its sign Aries. Mars also sits in Aries in 9th house. Whenever such placement happens, person ends up in leaving his home town and settles down with people of different ethnicity, As Mars is planet of Action, it shows that his work would involve people of different ethnicity and lots of travelling around. Mars is in Ashwini Nakshatra, which makes him very much action oriented and purpose driven. d. Mercury - Mercury rules 2nd house of Wealth through its sign Virgo and 11th house of Earning through its sign Gemini. So, Mercury becomes a very much a wealth giving planet for him. Mercury is sitting in 6th house, in the sign of Capricorn and in the nakshatra of Shravana. 6th house is daily routine life. Capricorn is duty and responsibility. Shravana is Listening, means Communications. Mercury in itself is Business and Communication. So, all in all it shows that this person will take up the duty related with Communications in his daily routine life through his business. It opened the gates for him to be a Businessman in Communication Field. Not to forget thathe launched his first company during Mercury MD. e. Jupiter-Ketu - Let's take these 2 together as they are conjunct in 11th house. Jupiter rules 5th house of Creativity, Risk Ability through its sign Sagittarius and 8th house of research, occult, mysticism and serving other people through sign of Pisces. Ketu co-rules his 4th house of home, mother and homeland through its sign Scorpio. They both are in 11th house of Earning, Income and Higher Goals in Gemini Sign. It shows that his earning/income and achievement of higher goals in life will come through his creative pursuits and research work done to serve the needs of people. Ketu going 8 houses away from the 4th house which it rules shows the death of 4th house of home, means this person was so busy with his higher goals that he had to neglect his home life. 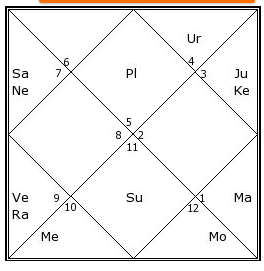 Jupiter-Ketu in 11th house is the reason behind him becoming a multi millionaire, as Jupiter itself is wealth and it is sitting in the house of earnings. Also, Ketu in 2nd house and 11th house makes a person super rich as such person never cares much for money, hence Universe provides in abundance. f. Rahu-Venus - Let's take these 2 together as they are conjunct in 5th house. For me, this conjunction holds the crux of this chart. As much as I say that Jupiter-Ketu conjunction in 11th house made him super rich but we all need to accept that 11th house is directly opposite to 5th house of Creativity and Risk Taking Ability. So, income in 11th house is only result of the amount of creativity a person shows and risk he takes. Now, lots of things are converging in 5th house. Leo (5th sign) Ascendant, so 5th house is important. Rahu is the reason we incarnate in this world and it is in 5th house. 5th house is creativity. Rahu is Creativity. Rahu is with Venus, which signifies Creativity. Venus rules 3rd house of Business and Communications through Libra and 10th house of Career through Taurus for him. Venus also represents conveniences, like thing which make our life convenient. Rahu rules 7th house of Business through its sign Aquarius. So, all these things together indicate that things like business, communications, creativity. career, conveniences are all coming together in 5th house. It clearly shows someone who is highly creative and follows his creativity as his career in the field of conveniences and communications. Venus is also sitting 8th from his 10th house of Career, which means transformation in his Career. During Venus Dasha only he had to let go of his position from Apple, he launched his new company and towards the end of Venus Dasha, he returned to Apple as Big Boss again. Transformation Completed. g. Saturn - Saturn rules 6th house of Daily Routine Life, Obstacles through its sign Capricorn and 7th house of Business, Masses through its sign Aquarius. Saturn is in 3rd house in Libra, where it is exalted. Saturn in Libra makes a person great businessman. Also, Saturn in 3rd house takes away the ability of person to work in job setup. They will never find a conducive environment in jobs. Saturn being exalted shows his ability to be a smart businessman and deal with all the obstacles of his life and business successfully. As Saturn never gives anything easily or without taking back something else in bargain, Saturn's aspect on 5th house of Education is the main reason behind him being a drop-out. Saturn's aspect on Venus and 5th house of Children also shows some painful relations in early life, delayed marriage and delayed child birth. As always, Saturn only delays, it never denies. In the end, let's close with his own words - "Stay Hungry, Stay Foolish". Hope this helps and covers most points. 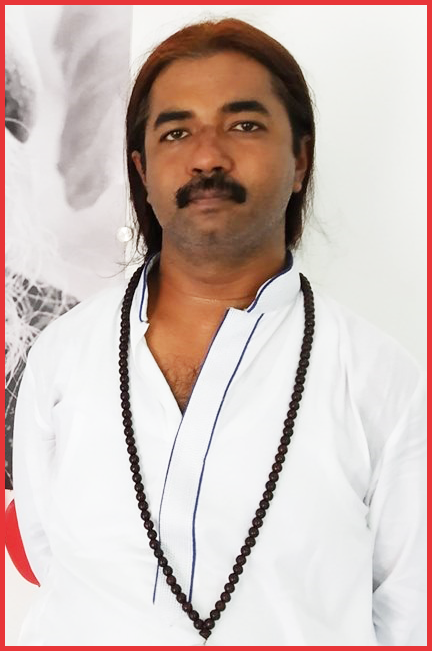 Vishal S Saxena - Astrologer.